For beginners, it is always difficult to find what things are good and what is bad for their computer or laptop. If you are concern about the safety of your system but always get confused while downloading and installing apps then now you don’t need to worry about this. As an extra security layer called SmartScreen filter will help you to protect your Windows 10 or 8.1 PC/Laptop from malicious infection and software. It will always be popping up when the user about to install something. SmartScreen was come into view in Internet Explorer 8 as a security layer to provide protection against malicious/hacked/compromised/unsafe websites. And after adding some improvements in this feature Microsoft released its desktop level with Windows 8.1 operating system. In the desktop level, this security feature warns the user before executing any unrecognized apps from the web that could potentially be dangerous. And the good news for Windows 10 user is their systems are also protected with this security layer. In Windows 10, it will provide protection from installing malicious software. it integrated with Microsoft Edge and IE 11 to keep you safe from malicious websites. Whenever user tries to download a file from the web via Internet Explorer or Edge browser then this feature may prevent it from being downloaded. SmartScreen also provides protection from phishing attacks, socially engineered malware, and drive-by-download attacks too. So, it is all about the SmartScreen feature. Now we will discuss about errors and other kinds of issues that are associated with this advanced security feature. How to Fix SmartScreen Filters Errors in Windows 10? Sometimes, Windows SmartScreen feature blocks Microsoft‘s own apps and user gets unable to open any of the built-in apps and whenever they try to run an error appear “Windows SmartScreen Can’t Be Reached Right Now in Windows 10”. This issue was also asked by our reader “Rehman” on our official Facebook page with a screen short of the error given below. This error appears with two action button first is “Run Anyway” and the second is “Don’t Run”, it is suggested to don’t use Run anyway until the security feature verifies the software you’re trying to run. Causes of this error are: connectivity problem to the Internet, damaged of required files and more. How to Fix Windows SmartScreen Can’t Be Reached Right Now in Windows 10? 1: Make sure that all the available Windows updates are installed in your PC/Laptop. 2: Update your antivirus and spyware program to update their definition. 3: Restart your system multiple times. 4: To verify all system files, run SFC scan. This command will scan and fix all the damaged system file of your system. 5: Make sure that your Internet connection is OK. If network speed is not stable and decent speed then reset it. You should use Network Adapter troubleshooter to find Internet connectivity issue and fix them automatically. 6: Reset Internet Explorer and Microsoft Edge to defaults. 7: Clean all the temporary files stored on your Windows. 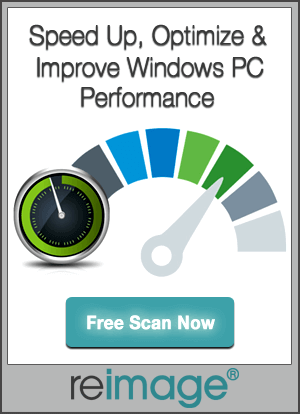 8: Try after uninstalling any third-party antivirus program. After applying all the above-given tricks, if you are still unable to fix the issue then may try consider refreshing Windows 10 i.e. reinstall Windows 10 without affecting a single bit of data. Windows Users can modify SmartScreen filter settings according to their requirement via Action Center. 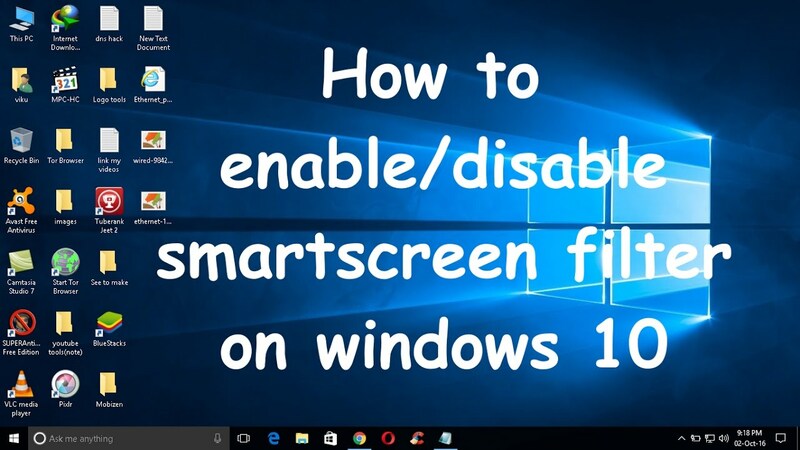 They can also disable and enable SmartScreen filter but sometimes users get unable to change SmartScreen filter settings in Windows system. And whenever they try to open SmartScreen filter settings window, all the options become grayed out i.e. unchangeable. How to fix “Can’t Change SmartScreen Filter Settings”? 1: Open run dialogue box by pressing Windows+R and type gpedit.msc, press enter key. Step 2: It’ll open Group Policy Editor window. 3: Find “Configure Windows SmartScreen” option on the right pane. 4: If this option is set to Enabled or Not Configured. Then double-click on it and set it to Disabled. After doing this you can modify SmartScreen filter settings in Windows. 1: Again open the run dialogue box as given in Step 1 of [Fix 1], type regedit in run box and press enter key. 3: Find EnableSmartScreen present on the right pane. Delete this DWORD and close Registry Editor. 4: Now reboot your system, after rebooting your system you will be able to modify SmartScreen filter settings. What is a smart screen filter? The SmartScreen Filter is actually a security layer to Internet Explorer and Microsoft Edge. It warns users when they try to visit malicious or dangerous websites. 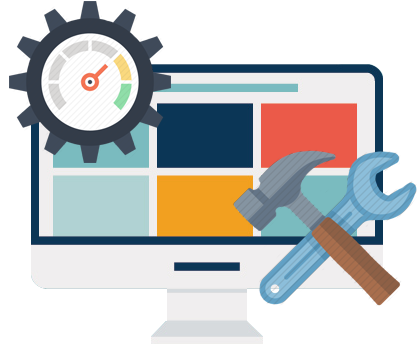 So that it is recommended to turn it on always and make your system protected from any type of unwanted issue. What is Windows SmartScreen Windows 10? The SmartScreen filter Windows 10 is a desktop level of Smart Screen filter. In the previous technology of smart screen some other features are added to give some extra security features. What is Smart Screen Filter in IE 11? SmartScreen Filter is an inbuilt feature of Internet Explorer web browser, it automatically detect phishing/malicious websites. SmartScreen Filter can also help prevent any kind of malware or malicious software from being downloaded or installed. How do I turn SmartScreen filter off or on? Open Internet Explorer, choose Tools button and then select Safety. Choose Turn off SmartScreen Filter, and then select either Turn off SmartScreen Filter or Turn on SmartScreen Filter. 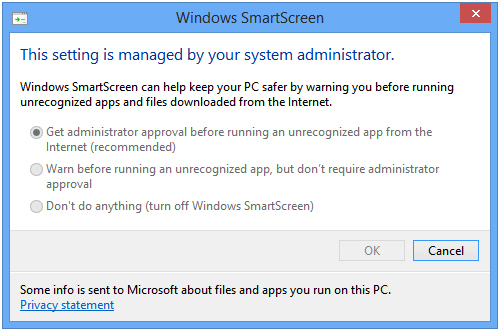 From the Microsoft SmartScreen Filter dialog box, select OK.
Run Internet Explorer, choose the Safety button, go to SmartScreen Filter, and then click either Turn off SmartScreen Filter or Turn on SmartScreen Filter. Is SmartScreen different from Pop-up Blocker? Yes, it is completely different from the Pop-up blocker. It verifies all the WebPages visited and files downloaded by the user. If it finds any security threats then it warns the user. But Pop-up Blocker only prevent the pop-ups appear while visiting any webpage, which are usually ads and aren’t necessarily malevolent. At last, it is recommended once again that doesn’t turn off or disable SmartScreen feature of Windows 10. As it is one of the advances and useful security layer of Windows 10 which designed to prevent your computer or laptop from any type of malicious infections. Want to get rid of SmartScreen Filters Errors in Windows 10. Simply follow the given steps and make your system SmartScreen Filters error free. Automatic Maintenance Feature in Windows 10 & 8.1: Disable/Enable, Features & more!